This cutting-edge online casino puts the ‘x’ in ‘exciting’, with a wide range of brilliant games from Habanero and a wealth of deposit options – plus the chance to bet on live casino games, virtual sports, real sports and more. X-Bet.co is a casino site which was created in 2016, and it offers players the chance to bet across a range of platforms including casino and sports. 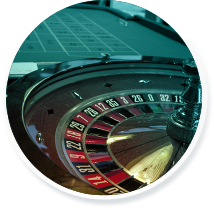 The casino is fully licensed by the Government of Curaçao, so you can be sure that your money is safe while playing here. That’s a good thing, too, because the casino accepts bitcoin as well as fiat deposits. You can deposit in a range of methods while knowing it’s in safe hands. 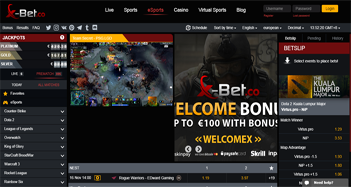 Read our X-Bet.co review to find out more about this gaming site. 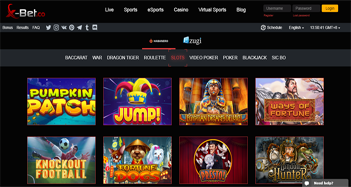 Our review team likes that the X-bet.co casino section is broken up into smartly differentiated tabs such as Baccarat, War, Slots and Video Poker. Hover over any of them, and a slick red target will appear. It’s a little added touch, but it makes navigating the games section more enjoyable. It also shows that the team here has put thought into every aspect of the casino – no matter how small. The Slots section is packed with exciting games from Habanero, ranging from Super Twister and Pumpkin Patch to The Dead Escape for all the daredevils out there. What’s more, if you hover over a game, you’ll see there’s an option for demo mode. This lets you try out the games for free before stumping up any of your hard-earned crypto. It’s a great way to discover new games without taking any risks. Dragon Tiger has its own section. If you’ve never played it, you’ll be pleased to know it’s one of the simplest gambling formats imaginable – so it’s well worth a go if you want some easy gaming. There are ten video poker games available, and another four poker games including Caribbean Stud and Caribbean Hold ‘Em. With logical categories, a wide selection of games, and colorful game shots contrasted with a black background, it’s easy to navigate and enjoy the casino classics on offer here. As we carried out our X-Bet.co casino review, one of the things that stood out when it came to the bonuses was how much the casino undersells them. The majority of online casinos have big, flashy bonus offers which are used to lure players in. Here, X-Bet.co simply explains the offers in clear terms. It’s an approach which shows a great deal of respect for players, and it also makes the deals very easy to understand. All of the terms and conditions are clearly listed on the page, including extensive lists of which countries are restricted. This is both honest and helpful when you’re looking for such important information on a gambling site. The staff at X-Bet.co casino will be keeping an eye on your deposits, and if you’re a frequent investor, they will get in touch to offer you VIP deposit bonuses and more. You’ll find the playthrough requirements are fairly generous too, allowing you to rack up some extra BTC. At X-Bet.co you can enjoy dozens of games from Habanero, a cool and popular software provider that you won’t find at every casino. This means that right away, many players among you will be discovering something new here – which makes the site stand out from its competition. While some online casinos that accept bitcoin have a basic layout, X-Bet.co is right up there with the best of them. Head to the slots section, and you’ll have the choice to click on ‘Play’ or ‘Demo’. Straight away, the game will begin to load quickly, and it will enlarge to take up the full window. This is a refreshing change from seeing games fixed at an inconveniently small size at some online casinos. Habanero games are slick, smooth and colorful. The fact that you can try them out for free is particularly useful, given that players may not have come across these titles before. Plus, an ever-present button in the top right makes it easy to flick between playing for free and playing for real money in just one click. This isn’t just true of the slots games, but of other game types too. You can get used to games like Three Card Poker Deluxe in the safe environment of play money, then progress to real cash in just one click. The poker games have a lovely deep green felt with a shaded black background. This makes for a cool, immersive experience which makes it easy to up the ante. How Safe Is It to Play at X-Bet.co Casino? Our review team is all for player safety. 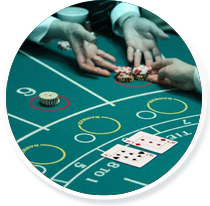 X-Bet.co casino is fully licensed by the Government of Curaçao, so you can rest assured that everything here is above board. This is especially important when you’re considering joining a bitcoin casino, as there are plenty of scam sites out there. Luckily, X-Bet.co is not one of them. If you’re making a deposit using a traditional method like a credit or debit card, you’ll need to verify your identity with the casino. You can do this in the usual way by emailing the X-Bet.co team with proof of your identity, along with documents that confirm your address. However, if you want to play using bitcoin, you won’t need to verify your identity. This makes it quick and easy to transfer funds between your bitcoin wallet and the casino’s cashier without having to worry about any red tape delaying the process. It’s rare to find an online casino which allows you to make such swift and easy BTC transactions while also being fully licensed and secure. An extensive array of currencies can be used at X-Bet.co casino – including USD, EUR, GBP, and more than a dozen others like AUD, JPY and RUB. You can make deposits using a wide range of methods including paysafecard, Sofort, Neteller and Yandex. All of the above deposit methods require you to withdraw via Visa or Skrill, so make sure you have access to one of these accounts when you’re making a deposit. Crucially, you can also make a deposit using bitcoin, or BTC. This is the preferred option for a large proportion of players on the website, which shows us that this online casino is forward-thinking. While many casinos are currently wary of adding cryptocurrencies to their banking options, X-Bet.co has its finger firmly on the gaming industry’s pulse. If you’re thinking of moving large quantities of funds around in a short space of time, bear in mind that the X-Bet.co online casino has a €100,000 (or equivalent) limit every 30 days. This is particularly important for BTC players, who may otherwise forget about taking the conversion rate into account. Our review experts assure you that X-Bet.co casino has no hidden fees on deposits or withdrawals, regardless of the method you choose. On top of that, all your withdrawals are processed within three business days of the transfer being submitted. As part of our X-Bet.co review, we set out to test how easy it is to access the site on mobile. Seamless pretty much describes it. Just enter the regular URL into your smartphone or tablet, and you’ll land straight on the sports betting page. The top menu is rearranged to become more mobile-friendly, and the loading times are impressively fast. Navigation on X-Bet.co mobile is user-intuitive, and you’ll find it easy to flick and tap through the games – whether you’re playing on your iPhone or your Android device. In the bottom-right corner of the mobile casino, you’ll see a speech bubble that lets you get in touch with the live chat team in just one tap. Live chat isn’t always available on mobile casinos, so this is a really useful option that ensures you’re never left high and dry while playing at X-Bet.co. After having explored X-Bet.co casino in incredible depth, there’s very little to complain about. This online casino is understated in all the right places – like its sensible communication of bonus features – but it really delivers where it matters. Dozens of games from Habanero set the tone for a fun-filled experience, backed by top customer support and a wide selection of payment options including bitcoin. 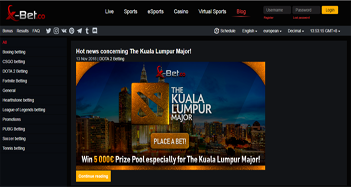 We can easily see that x-Bet.co promises gaming x-citement all the way, without x-ception.